The truth is that links are still the most important component of the search algorithm. 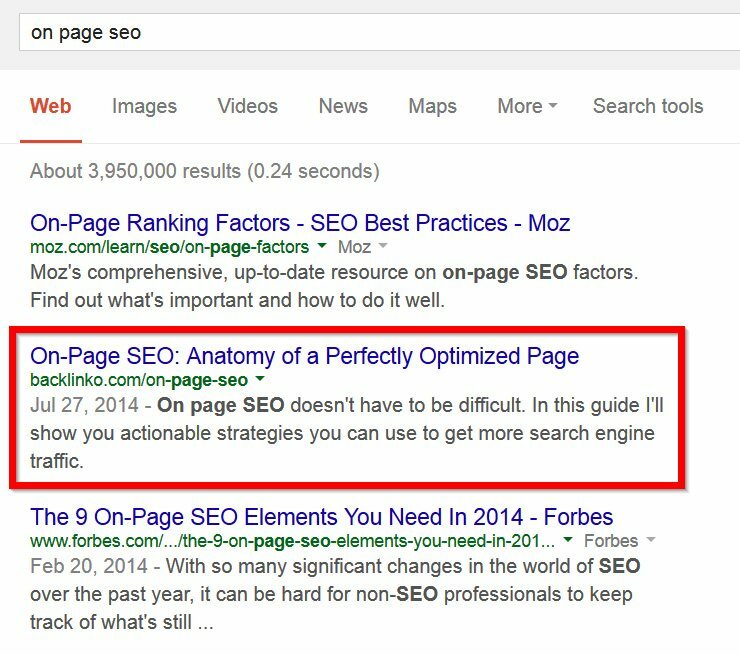 No matter how useful its content may be, a site without links is far less likely to rank highly in organic search results. The rules surrounding contextual link building seem to be always changing. Through its Panda, Penguin, and Hummingbird updates, Google’s making it even harder for site owners and bloggers to get quality incoming links. 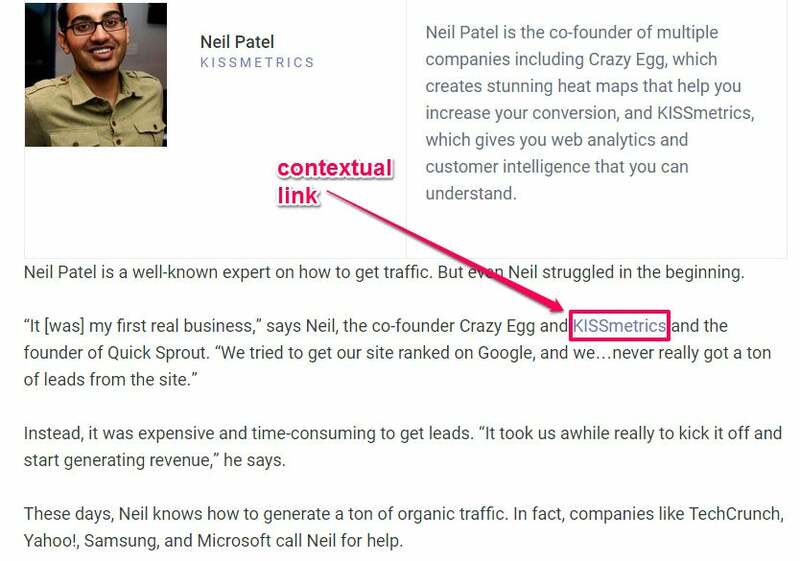 In order to get the authoritative links that Google respects and sustain your search rankings, you need to concentrate on getting contextual links (i.e., links surrounded by relevant content). Contextual link building is the quickest way to boost your site’s search performance. Over the past 10 years, I’ve been creating link-worthy content that people frequently cite and share, even when I didn’t ask for it. 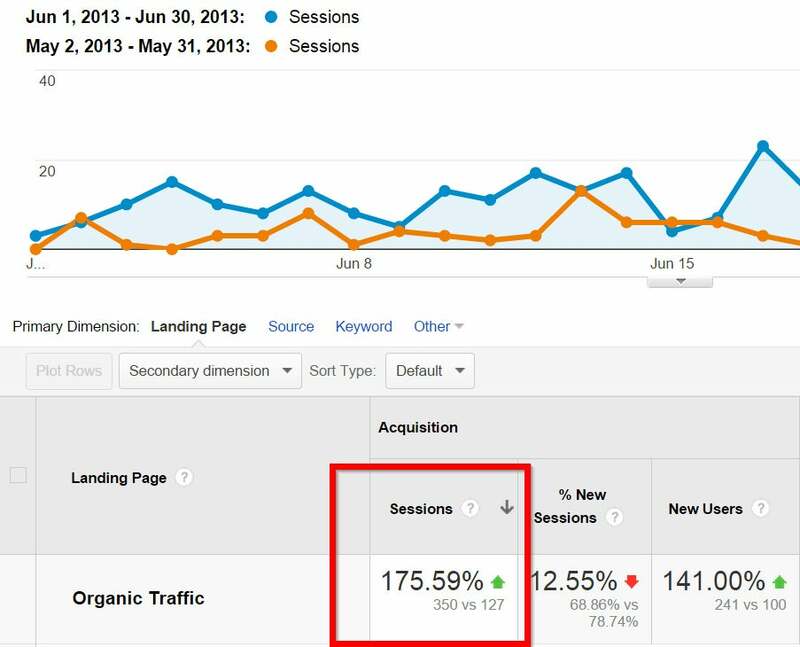 These social media shares and off-page search activities led to my blogs attracting over 1 million organic search users per month. 1. Connect with content curators for contextual links. I give the Google team a lot of credit. They’ve done a great job leveling the SEO playing ground for both aged and new sites. Anyone with a site that provides useful content and has the right network can now drive organic traffic. You can speed up the process of getting useful links by connecting with content curators. If you can connect with content curators who make these resources available on the web, you’ll increase your chances of getting your links in context. 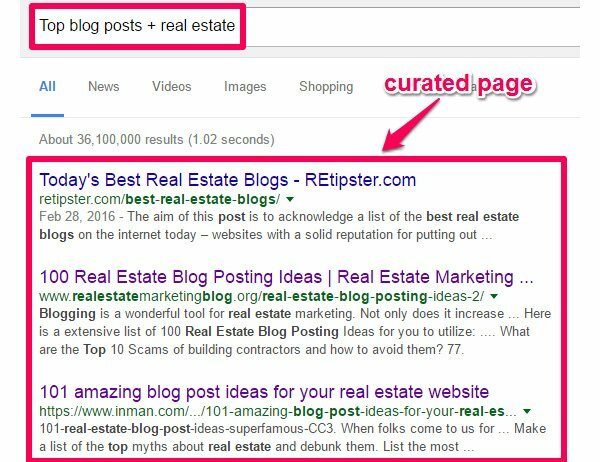 Content curators use social media and search engines to find content worth curating. Third step: Reach out to the author. Click on the “contact us” tab and connect with the content curator or blog owner. Keep the subject lines in lower case letters: Emails that appear casual, as if you’re sending it to a friend, work best for email outreach. 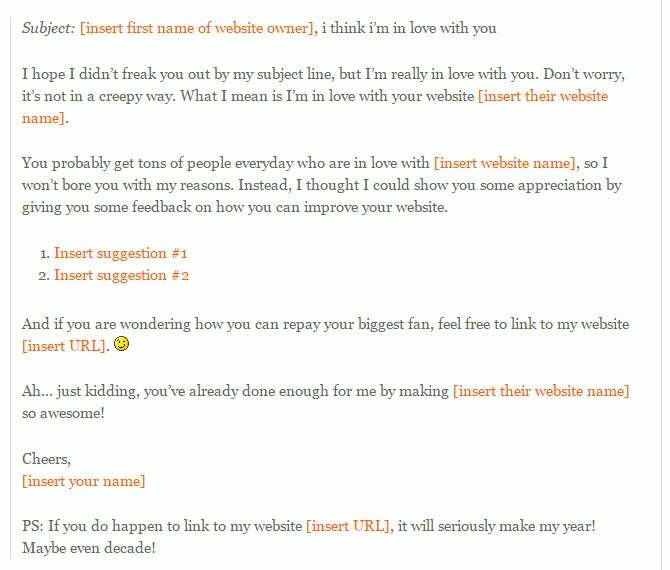 Personalize: To avoid coming off as spammy, use the recipient’s name in the email. Be creative: Write emails that persuade people to click and respond to you. Boring emails won’t trigger a response or probably get read at all. 2. Leverage the guestographic strategy. Back in 2011, you could use blog commenting to get 200 backlinks and quickly skyrocket your rankings on search engines. But, in today’s algorithm for search engines, the focus is on quality over quantity. Sometimes, all that you need are five to 10 relevant links, from authoritative sites, to begin seeing results from Google and other search engines. Through the guestographic strategy, you can get relevant links from those authoritative sites much more easily. When Brian Dean coined the concept of the guestographic and implemented it, he quickly increased traffic across search engines by 175.59 percent over the previous month. Now, Brian Dean ranks No. 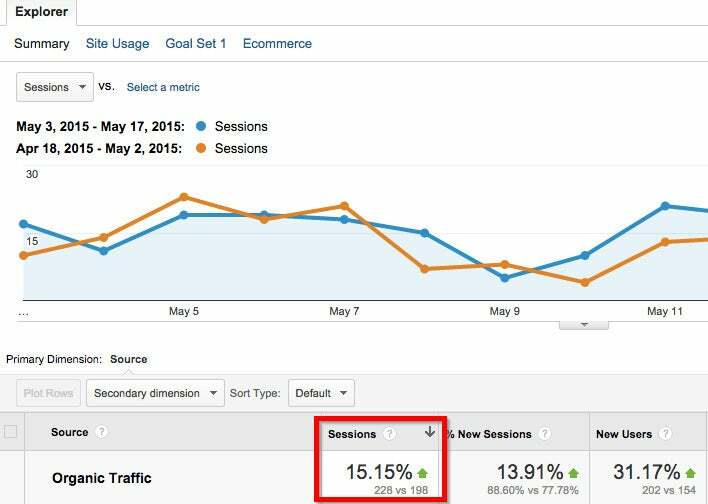 1 for a high volume keyword — “on-page SEO” — all because he used the guestographic strategy. Design and post a valuable infographic on your site. Find sites that write about your infographic’s topic. Offer them a relevant “bribe” or benefit (e.g., a unique blog post). In return, get contextual links to your site that’ll boost your organic performance on search engines. 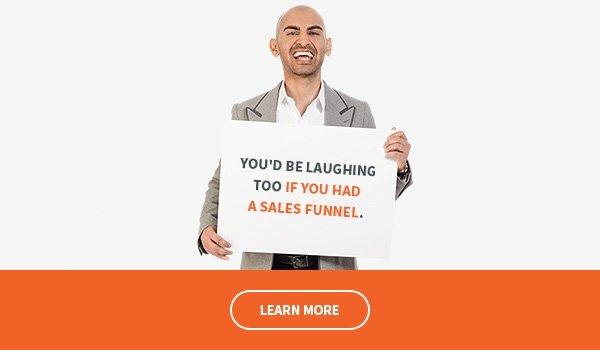 Mike Bonadio used the guestographic strategy to create a search engine optimization campaign that generated 1,117 social media shares and 15 percent more organic traffic in two weeks. An effective content strategy has to nail both of these tasks. If the content isn’t right, it’ll be hard to promote it effectively. It’s like creating a product that no one wants to buy. How do you promote something useless? Many people who started new blogs have seen tremendous benefits with incorporating their infographics into guest post pitches. Why not give it a shot yourself? 3. Interview authority site owners — and get interviewed. Most contextual link building services and techniques require unique content as a prerequisite. But, if you’re not ready to create written content or videos from scratch, you can still tap into other people’s knowledge (OPK). Interviews are some of the most linked-to content on the web, because they give us a deeply personal look inside what makes others tick. It’s hard for people to be dishonest during an interview. 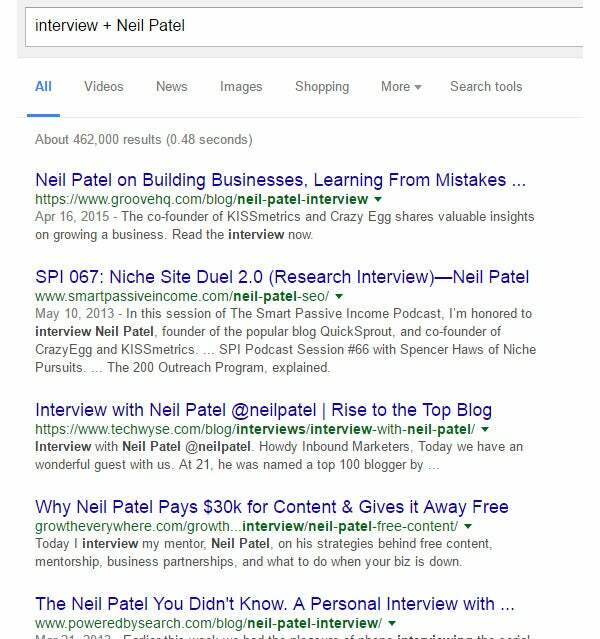 Expert interviews are powerful ways to acquire rank-boosting backlinks from authoritative sites. But, you have to plan and be strategic about it. When conducting expert interviews, you don’t have to use video as your medium. Yes, video interviews tend to be the most popular, but don’t let that stop you. So, if the technical details of a video interview would be overwhelming for you, create text-based interviews. They, too, can deliver great results. 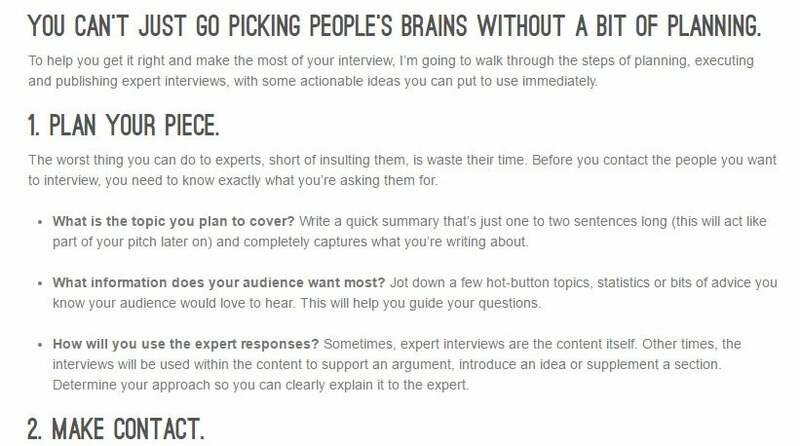 An example of a text-based expert interview is this post published at Fizzle.co. 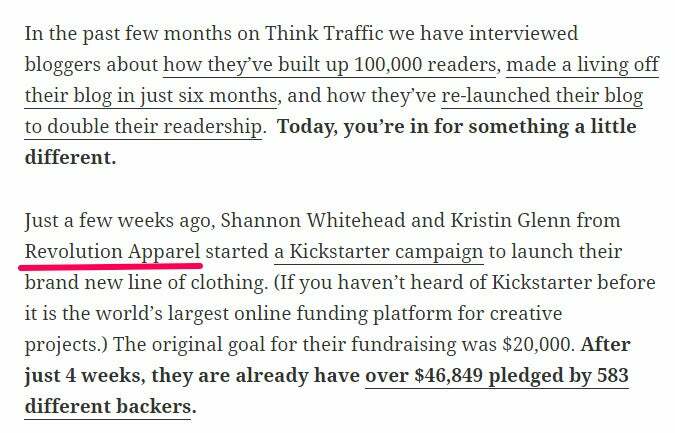 In the interview, Shannon Whitehead and Kristin Glenn, founders of Revolution Apparel, were asked to share how they generated $64,246, which was 321 percent of their KickStarter Campaign goal. Brand mentions and co-citations are also very important to Google, in determining the quality and usefulness of a particular web page. Their brand name was also mentioned in the blog post, though it wasn’t linked to anywhere. But, the good news is that both the brand mention and the actual link are surrounded by contextual editorial content. It wasn’t as though the anchor texts were overly optimized or that the keywords were stuffed into the content. Don’t be scared to reach out to industry experts. In my experience, they’re the easiest people to connect with. The majority of them are fun to talk with and would be happy to help you succeed. Expert interviews are usually popular because users get to more closely connect with the expert. They also learn fascinating things that they wouldn’t have known otherwise. Practical experience is something that you can’t get from books or blog posts. But, through interviews, you can share the most accurate practical information with your readers who deeply desire to achieve their goals. A short time ago, I got interviewed by Mixergy. This interview generated thousands of targeted visitors to my blog. I also earned a contextual backlink that passed strong SEO juice to my pages. The interview with Joost De Valk, founder of Yoast, on TechWyse, led to a contextual link building service result that linked out to Yoast. If you want to get the most out of expert interviews, try moving beyond the standard one-expert format. Instead, connect with 20-plus experts in your industry, asking them a simple question that’s relevant to your topic. When you receive the answers, compile them into a blog post and link out to their blogs. 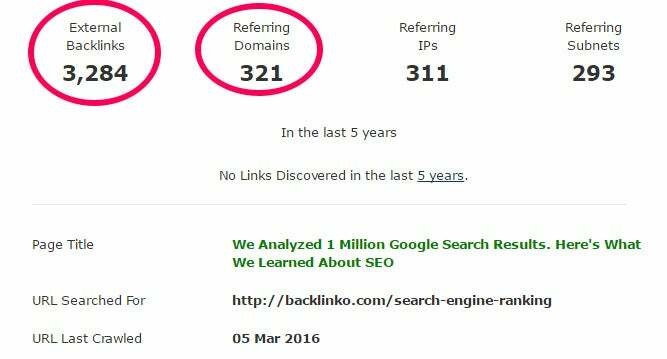 This will have a multiplier effect on your link building efforts, because those experts you interviewed and linked to will gladly link back to you in their own blog posts. Finding authoritative sites that’ll link back to your pages can be difficult. But, you can make it easier, by positioning your page. How? 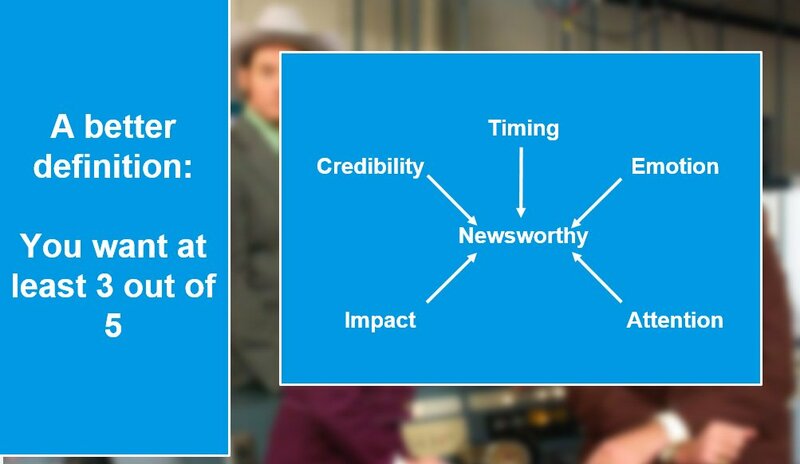 Newsworthy content can be defined as that type of topical, timely content that people are interested in — articles they want to read, share, cite, mention, link to and promote. You already know that content that gets picked up and republished by media sites such as BBC, CNN and Mashable (to name just a few) generally has some useful or surprising element. However, the term “newsworthy content,” doesn’t necessarily mean that news-related sites are the only viable sites that will amplify the content’s reach. You’ve got to understand that authority, niche-specific and generic blogs that publish related content can do the same. 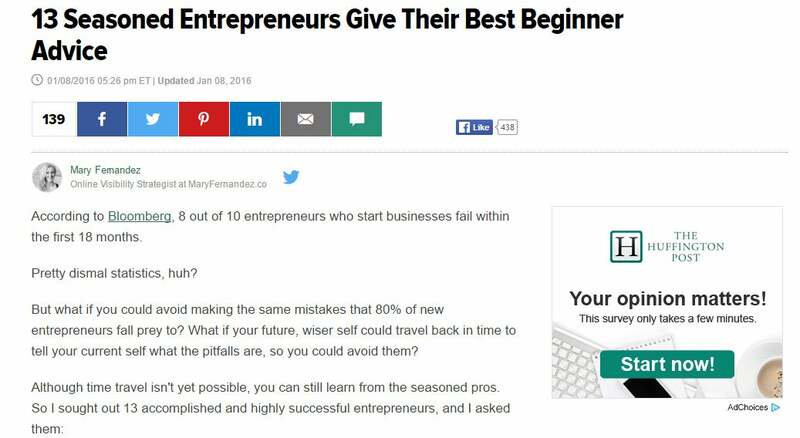 There are bloggers who understand how to create newsworthy content. One of them is Brian Dean. Although he doesn’t publish new content every week, whenever he does, his engagement level is usually out of this world. In fact, his most recent post generated close to 750 valuable comments from his loyal audience. And there were more than 4,000 social media shares on Twitter and Facebook combined. And, how many inbound links has the page received so far? You can model these titles and craft even more clickable ones of your own. That way, you’ll attract the right audience to your content, since 8 out of 10 persons read the headline. Social media networks can help you to give your content the initial boost it requires before the media and other interested users find it. Begin by creating newsworthy content on Facebook and make your storytelling newsworthy. A word of caution: Be mindful of your link positioning. 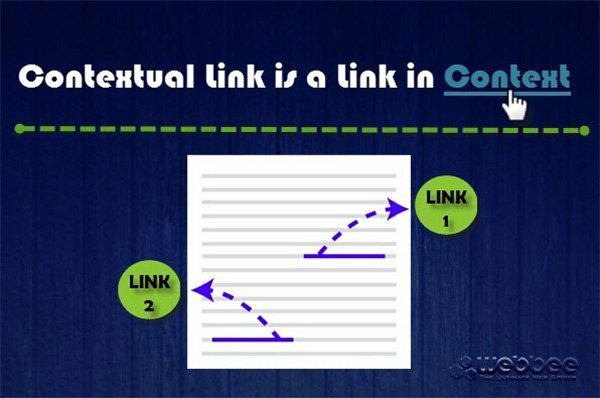 Yes, contextual link building is important, because they boost results on search engines. But, the number of links on a particular content page also matters to Google. Having your links above the fold is always better. This could be one of the reasons why Google rewards the first link they crawl, assuming several anchor texts were passing link juice to the same page on another site. There are other things that you can do to get contextual links, such as guest bloggingand mentioning other sites in your content (and letting them know about it). You should also analyze your competition, in order to take advantage of their linking channels. At the end of the day, Google makes decisions based on the number of links pointing to your pages and the circumstances surrounding such links. Ultimately, it’s all about how users interact with your site. Google collects user data on your site and makes further ranking decisions to determine where your content pages should be ranked in the organic results of search engines.